Amazon deals: Save on Sony 4K TVs, Blu-ray players, soundbars | What Hi-Fi? Amazon's spring sale has started and besides big savings across the brand's own smart speakers and streamers, we've spotted a number of Sony discounts that could be worth closer inspection. Amazon is offering up to 40% off selected Sony TVs, Blu-ray players and soundbars, including 4K Ultra HD models. 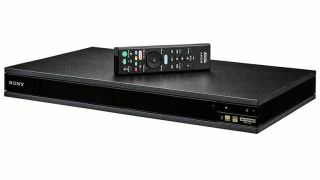 You can save on the five-star Sony UBP-X800 4K Blu-ray player, the Sony KD-43XF7002 4K Ultra HD TV and the HT-RT4 soundbar and surround sound speaker system, amongst other deals. Interested? Then don't delay. These savings end at midnight tonight.